a. Fail to plan, plan to fail! Now’s the time to start gathering your gear, and we’re here to help ensure you’re prepared! b. During the meet up we will be reviewing some of our favorite trail running shoes. c. What to wear, what NOT to wear. It’s gonna be a lot colder than you might think! We will make sure you have all the right headgear and layers! a. 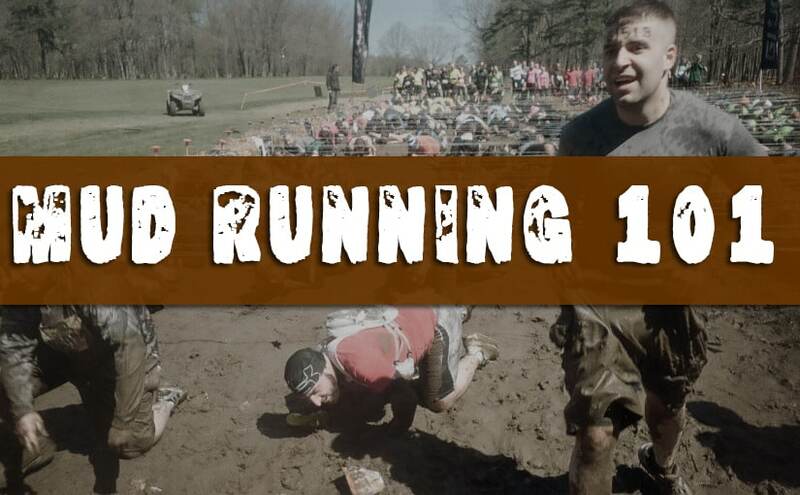 A mud race is like no other race, and not just because you’ll be covered in mud! Running while wet activates different muscles, this is why preparing is so important. b. You’re gonna get dirty, and you’re gonna get wet. Taking care of your skin during a mud run is paramount! Some different types of skin we will be going over during the meet up: new skin, lubricant, and body glide. c. Food is our fuel, and before a mud run, we want to make sure we use ultra premium! During our meet up we will be going to when and what to eat before a mud run to produce the best results. d. During a mud run, don’t be too shy to seek out some help from supplements! We well be reviewing the uses and benefits of a salt stick and dextrose solution. a. Gloves: you’re definitely going to want these. Not only will you want protection from the elements, gloves will be an asset while you’re jumping over obstacles and crawling on the ground. b. Once the race starts, there’s no going back— for water that is. A hydration pack and or other belt options can be extremely usefully during any type of run, especially a mud run. c. You’re going to want to document this! When will you ever get another chance to see your friends head to toe in mud? A waterproof AND disposable camera is your best bet for this type of event. And with the capabilities of getting digital versions from photo labs, there’s really no better option. A free workshop via meet up – Saturday 26th at 2:00PM.